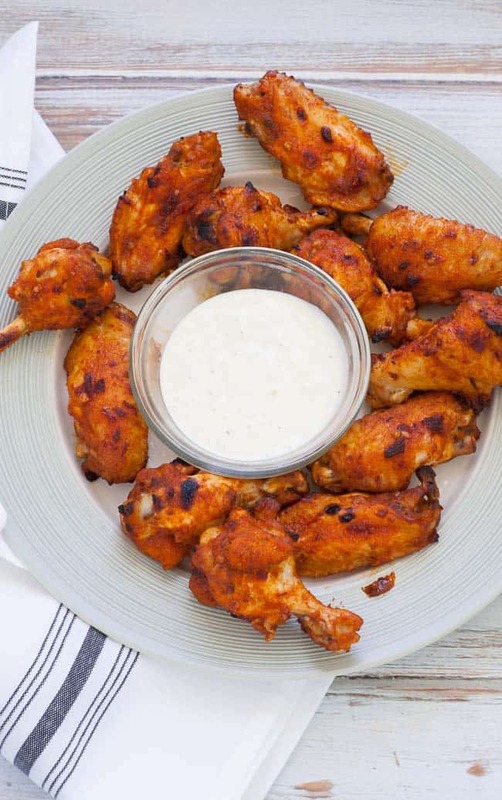 Chicken wings are always a great appetizer and these wings are glazed with a spicy chipotle chile sauce for a Tex-Mex take on chicken wings. Have I told you how much I love the electric pressure cooker. For a busy family on the run all the time, it should be an essential kitchen tool. You can cook potatoes in less than 10 minutes, do a pot roast in 45 minutes, perfect hard boiled eggs that are easy to peel in 6 minutes. You get the point. Once you start using the pressure cooker you’ll realize that you can make easy one pot meals that you can throw together, set the timer and forget. And the tasty results you get from pressure cooking is just another reason to get and use one. MaryJo recently borrowed a library book, “Instant Pot electric pressure cooker cookbook” and it is full of no nonsense pressure cooker recipes and I had to try a couple of them. 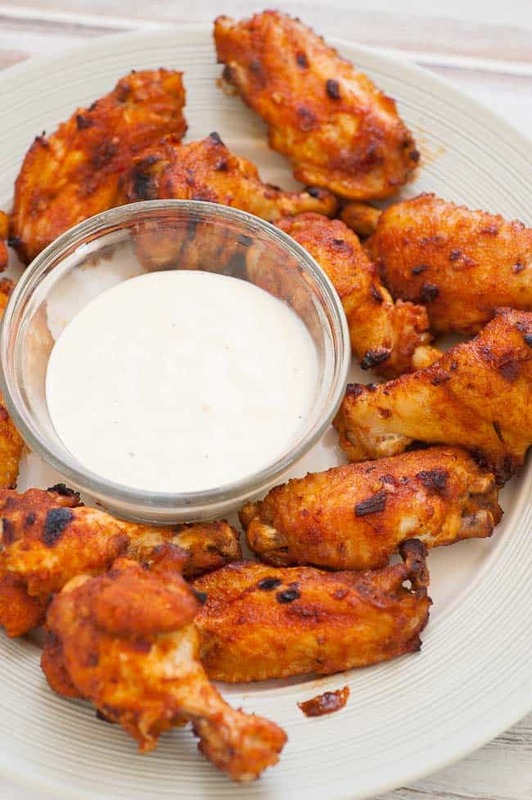 Listed under Appetizers was this recipe for pressure cooker chicken wings. I love wings so I had to try this pressure cooker method. And it seems I’m not the only one lovin’ wings. 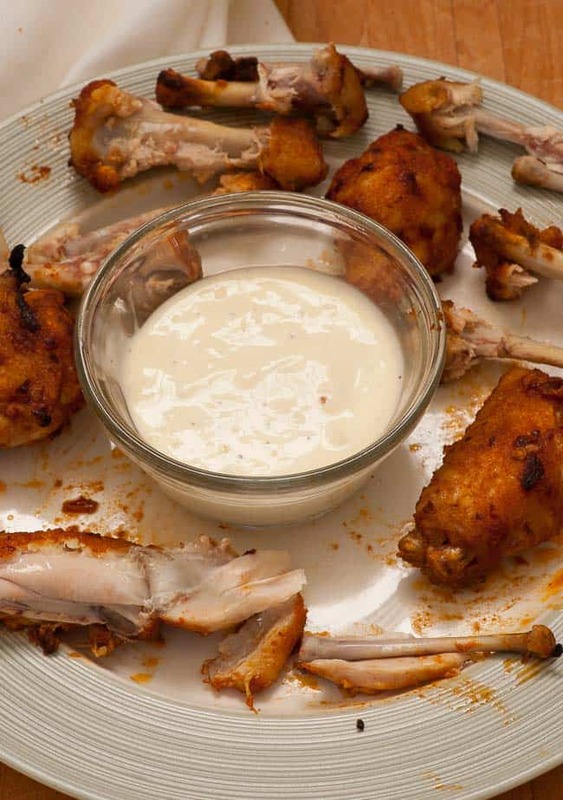 This article from Bloomberg explains that the love of wings is driving up the cost of them. Go figure. The spices in this recipe are a little different than what I would normally use. The cumin, coriander, and chipotle peppers in adobo sauce give these wings a Tex-Mex taste to them. If you are more into a traditional Buffalo wing, I’ll have some alternative ingredients in the recipe below. The cooking method remains the same. 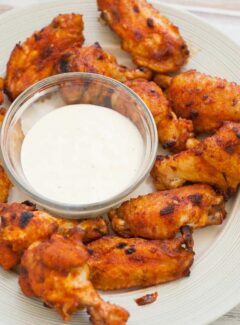 Once the chicken wings are finished in the pressure cooker, toss them into the glazing sauce and stir them well to coat. I am always using my handy silicone wide turner/spatula to mix ingredients. The wings get finished under a broiler to get a nice sear. Lining the baking sheet with foil makes for really easy cleanup. The pressure cooker perfectly cooks the chicken wings in 8 minutes and leaves them moist and juicy. The time under the broiler then firms up the skin and makes the wings delicious and ready to serve. I included this last photo just to show how moist these wings are., or to tease you into making these glazed chicken wings right now. Fast way to make chicken wings. 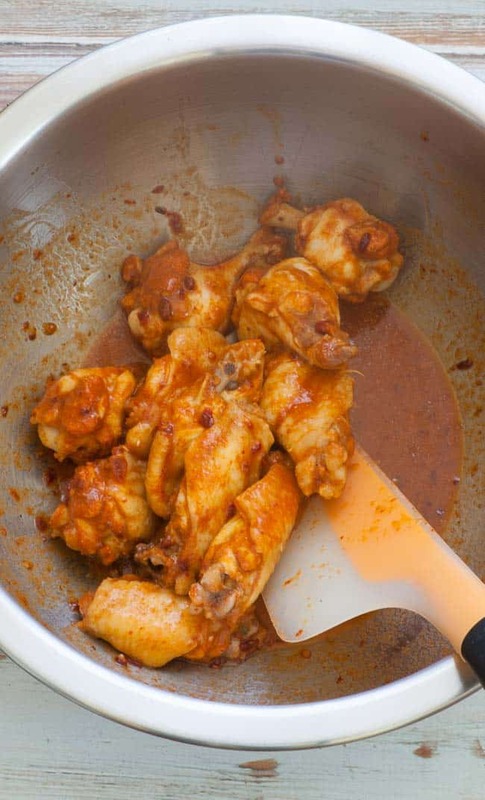 Mix cumin, paprika and coriander in a large bowl, add the chicken wings and toss to coat. Place the steaming rack into the electric pressure cooker, add all but 1/4 cup of the pineapple juice, then place the seasoned wings into the cooker. Select manual or steam, high pressure for 8 minutes. Once done, use the quick release method to depressurize the pot. ( Use 1 1/2 cups water for traditional Buffalo wings). While the wings cook, rinse out the large bowl used for the spices and mix together the chipotle chiles, adobo sauce, honey, dijon, and reserved pineapple juice. Line a large rimmed baking sheet with aluminum foil, coat with cooking spray, and turn on oven broiler. Place the rack 4 or 5 inches under the element. Place the wings into the bowl with the sauce and toss to coat. 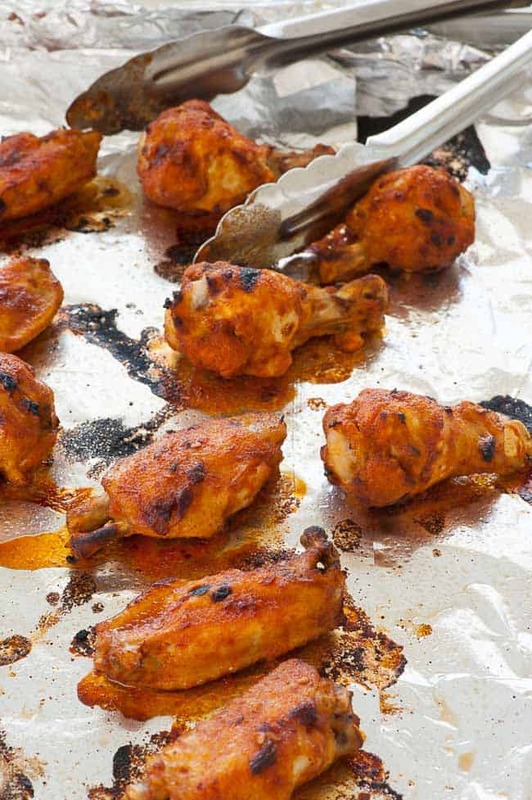 Place the wings on the lined baking sheet and use a spoon to add a little more of the sauce to each wing. Broil for 3 minutes, remove from the oven to turn and spoon more of the sauce on each piece. Place back under the broiler for 3 minutes. Serve with your prefered sauce. (Ranch or blue cheese dressing come to mind). I LOVE chicken wings, and it’s amazing how good and fast they are done in the pressure cooker!